January. A time of fresh starts. We crack open a new planner, make our resolutions and adjust our attitudes to a more positive outlook for the coming 12 months. It’s also time for some tasks, like getting last year’s receipts together for taxes and planning your annual checkups. “But I feel fine!” women argue. 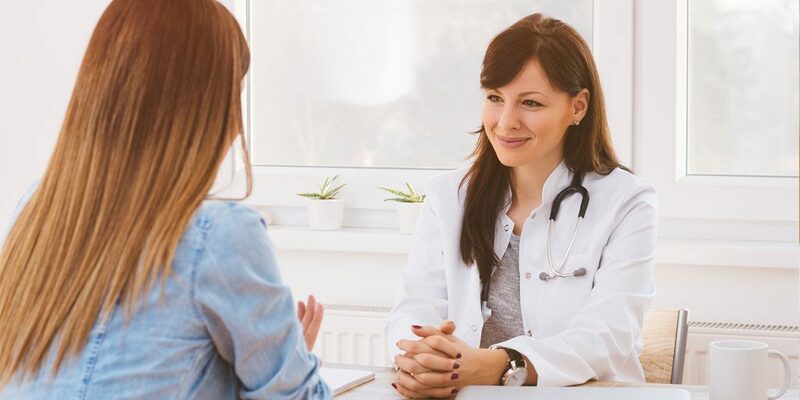 “Why take up the doctor’s time when I don’t have any problems?” Catching issues early and working on prevention are vital to a woman’s pelvic health and overall health. Simple tests like pap smears save lives every day. If you are having issues now, such as urinary incontinence or vaginal pain, now is the time to address it. Pelvic pain or discomfort that you may think are just typical signs of aging or the results of childbirth can be the symptoms of a much deeper problem. Or, it may be a minor issue that can be easily treated, so why wait? Either way, it’s a good idea to visit your urogynecologist so they can assess your current pelvic health, look for potential issues and help you develop a healthy routine that will improve and maintain your pelvic health. An appointment now also enables them to see any changes at your next visit. One reason women put off addressing pelvic issues is that in years past, the treatments may have seemed more disruptive than just dealing with the problem every day. But new technologies mean there are easier ways to treat problems such as urinary incontinence and vaginal pain without resorting to surgical options. The Coyle Institute now offers non-surgical treatment for stress incontinence and overall vaginal health, diVa® Laser Vaginal Therapy. diVa® uses advanced laser technology to resurface and tone vaginal walls. The toning, in turn, strengthens pelvic structures and helps aid in controlling urinary incontinence. This safe and effective treatment can be performed in only a few minutes in your urogynecologist’s office. There is no downtime after the procedure. Another urinary incontinence treatment option is the injection of transurethral bulking agents, which work by injecting the urethra with Durasphere which triggers the body to begin a natural restructuring process. This physically strengthens the urethra for better bladder control. So don’t put off your annual check – relief may be as easy as a follow-up in-office visit. Call the expert and compassionate team at the Coyle Institute to set up your annual exam. Make this the year you begin a lifelong commitment to your health.